Bright and early this morning the second intake of 3 week courses set off. Some left by bus from HMCS Queen while others got to fly. The trade off? They had to be at the airport as early as 4am! 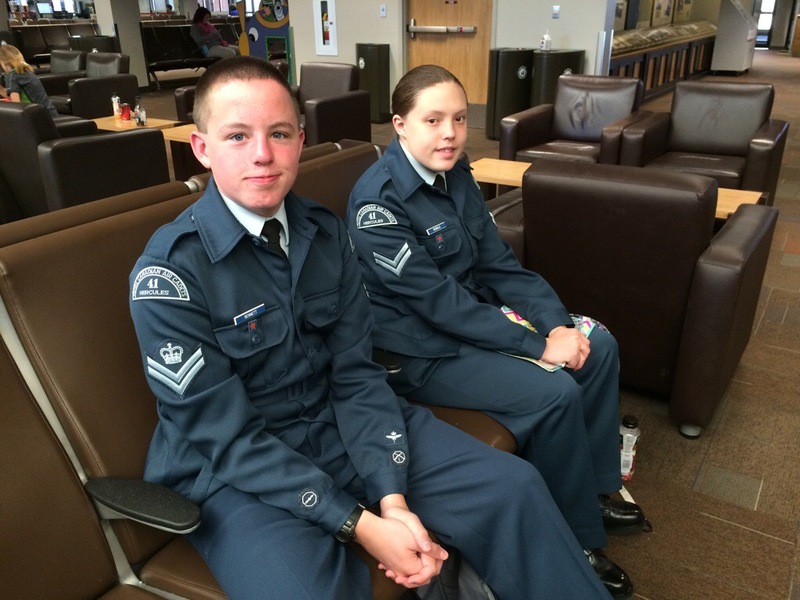 Cadets Bennett and Diewold are off to Penhold and so got the late flight, not having to be at the airport until 7am. This entry was posted in CSTC, Fun Stuff by 41 Hercules. Bookmark the permalink.